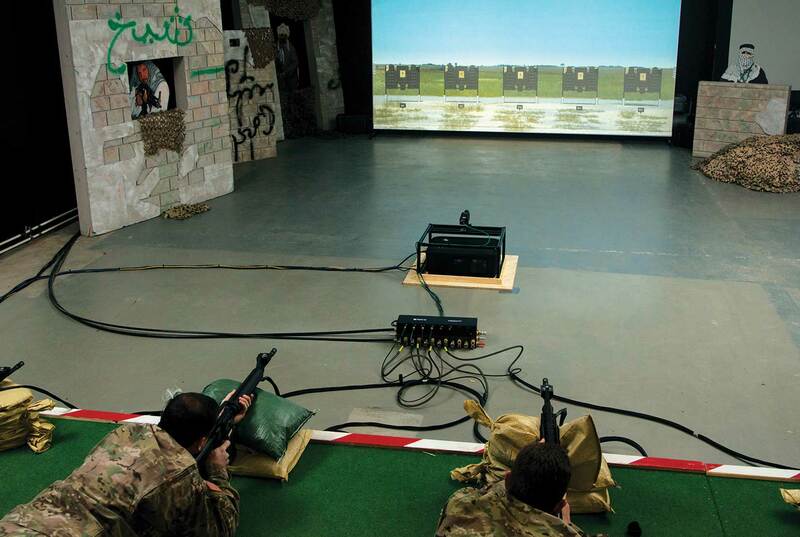 The Engagement Skills Trainer (EST) II is designed to simulate live weapon training events that directly support individual and crew-served weapons qualification, including individual marksmanship, small unit collective and judgmental escalation-of-force exercises in a controlled environment. It provides detailed feedback to the individual fire team/squad that covers the fundamentals of marksmanship, fire control and distribution of fires. The EST II simulator provides enhanced diagnostics with intelligent Automatic Coaching and Virtual Battle Space 3 based collective training enabled by the system’s open architecture. The EST II provides an impressive array of functionality for both instructor and trainee: solid weapon handling and shot placement analytics, coaching tools that highlight trainee results in real-time for reinforcement of correction, and enhanced graphic capabilities for an immersive training platform. The EST II marksmanship qualification standards and collective scenarios are validated by the U.S. Army Training and Doctrine Command. EST II simulates weapons training events that lead to live-fire qualifications for individual or crew-served weapons. 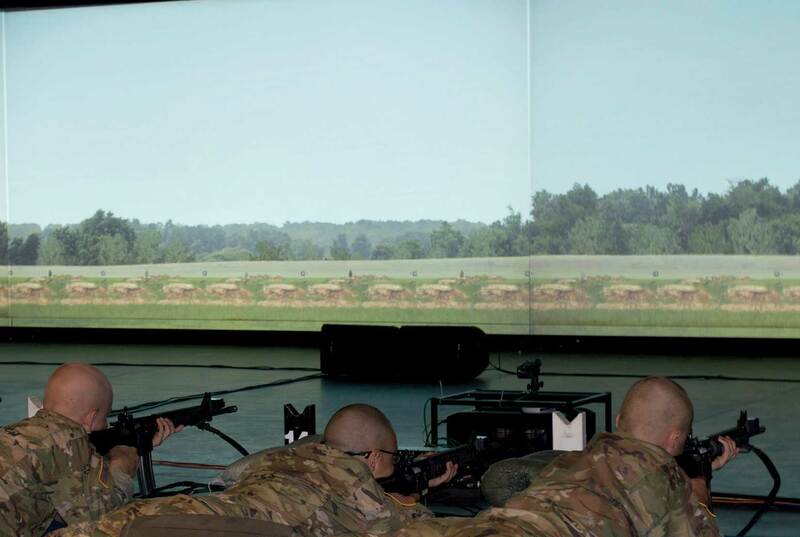 EST II provides weapons training in a controlled environment that reduces range/live-fire fees and provides the Soldier with more trigger time. Units utilize EST II to improve and excel at marksmanship skills, which improve performance during live-fire training and on the battlefield.